“It’s America that made Gorillaz,” Damon Albarn said recently. The animated band’s four albums have so far sold 16m copies worldwide – more than Blur – and that’s largely thanks to America’s warm embrace. Perhaps by way of thanks, this long-awaited fifth album is about America going to hell. 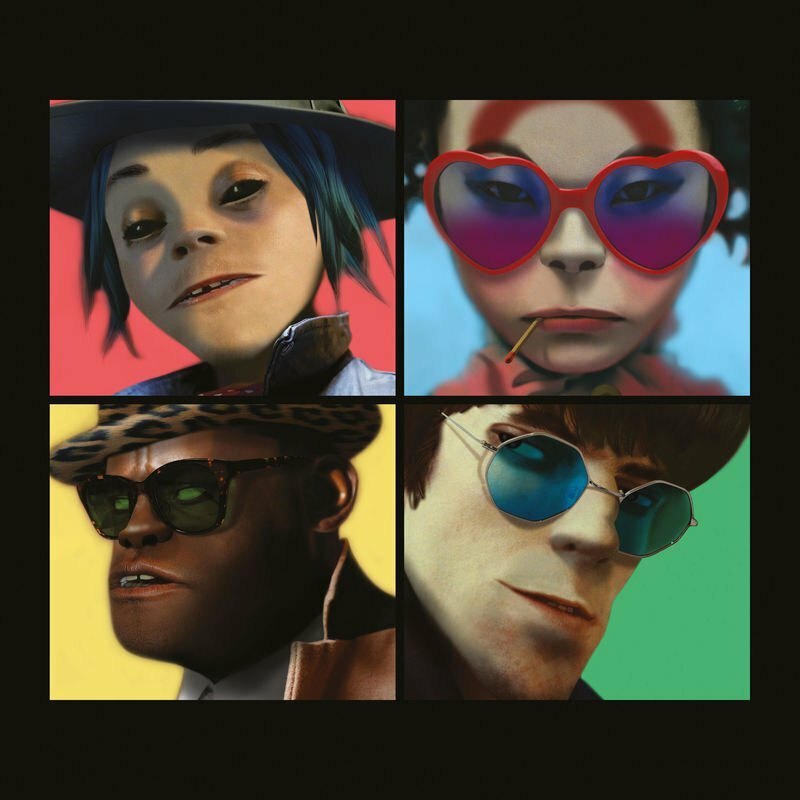 The lawless, world-altering scenario ‘Humanz’ presents us with is not a poorly attended inauguration but a massive, cross-genre party, composed largely on an iPad by Albarn and illustrated by his mate Jamie Hewlett. Taking a look at the album’s futuristic floor-fillers leads to the standout ‘Momentz’, where De La Soul give hangover advice over a strict marching beat, wriggling synths and a massive, jolting mantra. Or ‘Charger’, where Grace Jones bares some sphinx-like teeth over a distorted two-note line to declare “I am the ghost / I am the soul / I’m gonna take you for a ride/ No antennas,” while Albarn’s bewildered vocals splutter out in flouncy dribs and drabs. So strange, it’s fantastic.